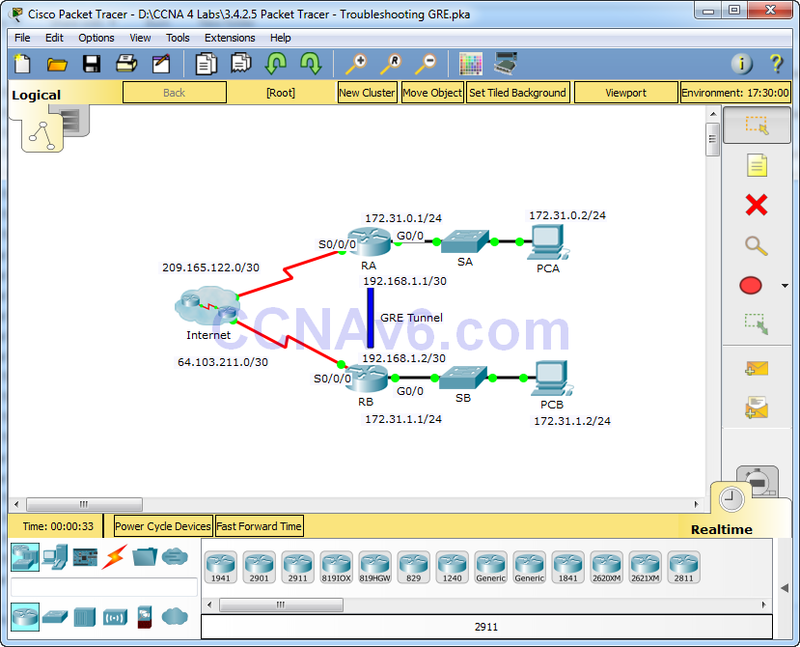 A junior network administrator was hired to set up a GRE tunnel between two sites and was unable to complete the task. You have been asked to correct configuration errors in the company network. 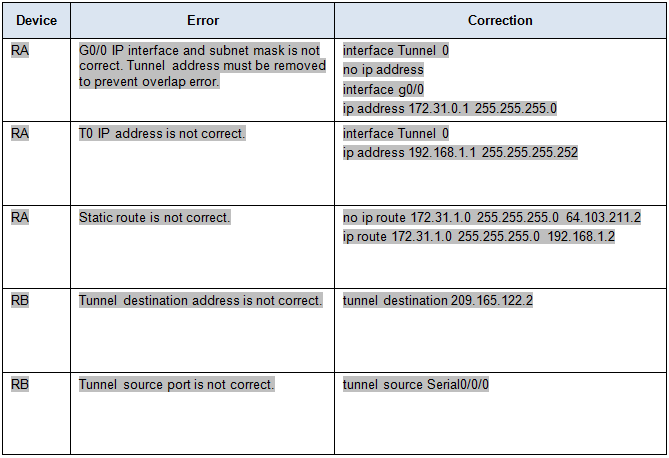 Part 1: Find and Correct All Network Errors.